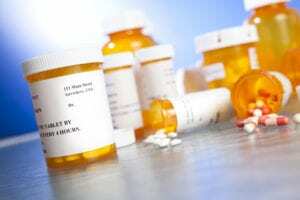 When you take prescription pain medication, what happens to it? Some people may think that the medication finds its way to a special “pain medicine” compartment in the body, which then sends it out to where the pain is. This is actually not what happens. When you take medications some of the organs in your body become sort of a “processing plant”. These include your stomach and intestines, (also called your gastrointestinal (GI) system), and your liver or kidneys. Even if a substance or medication enters your body through the skin or by injection, rather than through your mouth, your body must still “process” it before it can be used. During this “processing” everything that goes into your body is mixed together, and they can all affect each other. There are no separate compartments for foods, medicines, and liquids. Therefore, the medication you take for pain can be affected by what you eat or drink, and any other medications that you have been taking. Even the vitamins you took with breakfast or the herbal tea or coffee you had at lunch can affect the way your body processes and reacts to medications. Everything that goes into your body passes through this plant before it leaves your body. The GI system, where it often starts, does far more than transport food and medicine. The system also helps to break everything down into microscopic pieces, called molecules. Food is broken down into the molecules your body needs to live: proteins, carbohydrates, fats, vitamins, minerals, and water. Medicine is also broken down into molecules, and the GI system then delivers these molecules directly into your bloodstream, which carries them to every cell, tissue, and organ in your body. Connected to the GI system are several “accessory” organs that produce digestive juices, enzymes, and acids that help break down your food and medicines. Two very important organs are the liver and the kidney. The liver serves two functions; it helps to further breakdown these molecules, and it also filters out those that are not used. The nutrients and medicine your body does not use are broken down and discarded as stool. The kidneys help the liver process and filter substances out of the blood, and dispose of them in the form of urine. Imagine a prescription pain medication traveling through this long, crowded processing plant inside your body, and it will give you a better idea of why it is important NOT to “mix and match” without the expert knowledge of your health care provider to guide you safely. The human body is amazingly efficient processing plant, but like any other machine, you need to maintain it properly to keep it working right. Over-the-counter pain relief: Part of your plan?